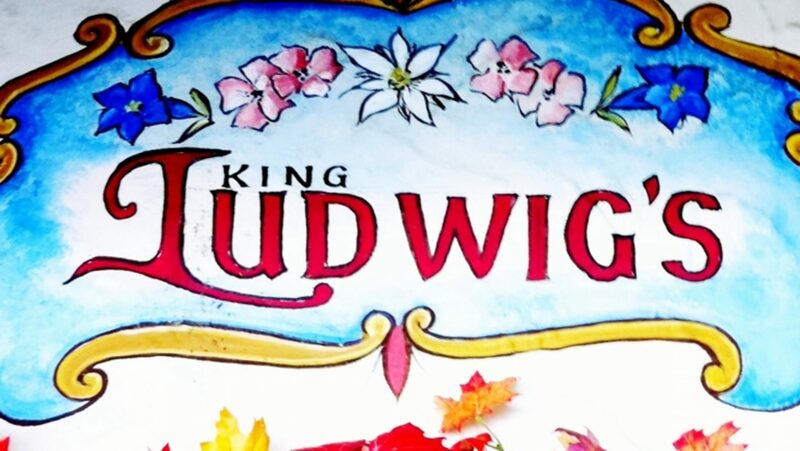 This family owned and operated restaurant takes it’s name from the famous German King Ludwig II and is located in the heart of the “Bavarian Village” of Leavenworth, Washington. Bruce and Liz Lane invite you to visit this wonderful town and stop by their restaurant to dine, sing, dance and just have a good time… or as it’s known in German “Gemutlichkeit”. 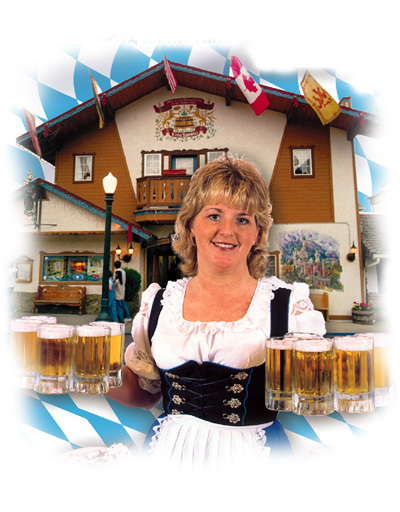 At first glimpse of the full wall murals by master painter, Herb Schraml, the hand woven tapestries adorning the walls of the dining room, the colorful display of hanging flower baskets in the garden, the musicians playing on the stage in the covered wooden dance floor, to the mouth watering authentic Bavarian specialties prepared by King Ludwig’s international kitchen staff you will imagine yourself in the heart of Bavaria. 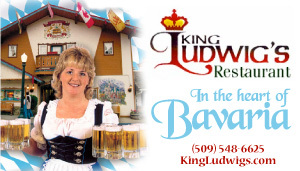 “Advertises as the “…best German food in Washington state…guaranteed” and “…you’ll be treated like royalty.” I can definitely support their “…you’ll be treated like royalty” statement. I don’t think I’ve ever been treated so well by an owner of a restaurant and staff! The owner went out of her way to make sure we were comfortable with our kids. Again, because of the weather, it ended-up being a slow night. She thought we’d be more comfortable downstairs where the kids could run around the dance floor. She was right! Your family will find big benches, a great dance floor, and plenty of room in this massive space! I can imagine it getting very rowdy and fun when a band is playing and drinks are flowing. For brunch options, check out Top Brunch Spots.